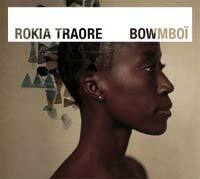 Songs: "Manian" and "Kote Don"
On paper, Rokia Traoré is a bit of a radical: She's a griot singer from Mali, although she was not born into the griot caste; she tries new ideas, combining traditional instruments that aren't usually brought together; and on her latest release, "Bowmboi," she works with the classical musicians the Kronos Quartet. While Mali has historically made little room for women songwriters, Rokia Traoré has established herself as one of the most important artists on the international music scene. Both her previous releases, "Wanita" and her 1998 debut, "Mouneissa," are among the best-selling world music albums in Europe. Having been mentored by African blues legend Ali Farka Touré, she draws on a broad range of influences that include Ella Fitzgerald, Stevie Wonder and Tina Turner, among many others. She employs traditional instruments to render her boldly original songs, creating a sound that is timeless and multicultural. "I wish for my music to be heard in the year 2020," Astor Piazzolla once said. Piazzolla, the world-renowned genius of Argentinean tango, is credited with bringing tango from the dance floor of Buenos Aires to the most prestigious concert halls around the world. 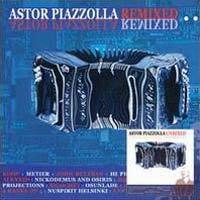 Although it is not quite the year 2020 yet, Milan Records has put together the "Astor Piazzolla Remixed" project. Artists from the contemporary electronic music scene, worldwide, revisited, remixed and reinterpreted Astor Piazzolla's most famous compositions, while using the original masters with no separate tracks. Almost 15 years after his death, with the support of the Piazzolla family, these artists have come together in the hopes of spreading the message of tango as a universal language that can cross musical boundaries.